Our adjusters are all standouts in their fields. They are interesting and qualified people who provide the best possible service to you and your clients. Our adjusters are all standouts in their fields. They are are interesting and qualified people who provide the best possible service to you and your clients. Our staff are or have been military and airline pilots, pararescue jumpers, SEALS, physicists, geologists, attorneys, dentists, police officers, special agents, park rangers and sea captains. Our managers are primarily attorneys or have law degrees with years of experience managing claims. We have efficiently managed litigation for various London Clubs and domestic self-insureds. For many years we have served as underwriters' representatives at settlement conferences, mediations and similar events. Our local defense attorneys have worked extensively throughout the United States, Canada, Mexico, Central and South America. In those instances in which we do not already have an office or teaming office in the area, we locate suitable counsel by drawing on our experience as correspondents for many of the London Clubs and representatives of major domestic carriers. 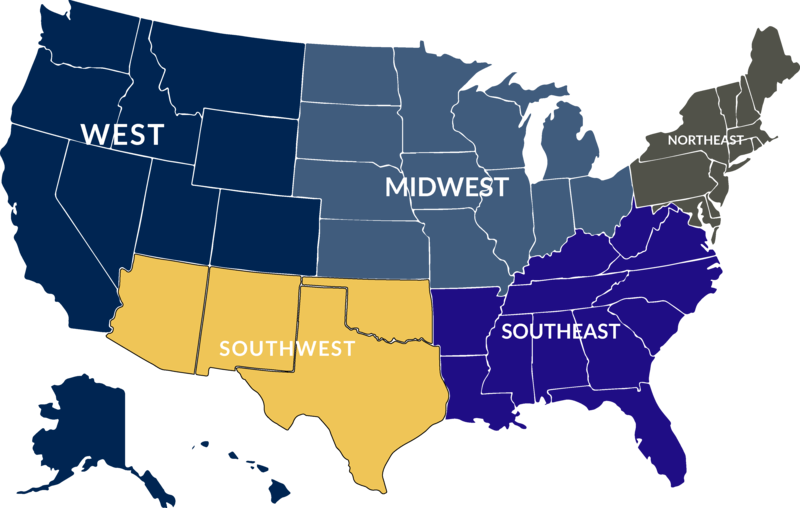 Staff are located across the country. Check out where to find us! In addition to serving as our Functional Area Manager for liability claims, Alan heads up our Surveillance and Electronic Investigation and Management Unit and is a multi-line Adjuster, as well as handling aviation claims. He is a graduate of San Diego State University with a degree in Geological Sciences. After graduation, Alan worked for the City of San Diego's Emergency Management and Hazardous Materials Department and a gold mine in northern California. Alan went on to earn his Juris Doctorate degree from a local San Diego law school graduating as the class Valedictorian. He is a member of the California State Bar and an attorney practicing law in California. Before joining our firm, he ran his own computer and geologic consulting business. Alan has been handling our information systems support since 1997. Since joining our firm, he has expanded and developed our computer-based records research and locating system to bring us to the cutting edge of current technology. With his background in Macintosh, as well as Windows, he is well suited to address computer issues and keep both our office and our clients' offices on-line. Alan's background in the mining business gained him a lot of experience in keeping machinery going, this translated into a very good appreciation of things mechanical. This has proven invaluable in evaluating physical damage claims. He handles a large percentage of our smaller boat claims, ranging from 6 feet to 105 feet, and aircraft claims where his background has been very helpful. Alan also handles a majority of the San Diego area crew member and passenger personal injury claims for the sport fishing and whale watching fleet. Alan joined the firm in 1997. Anne Spencer, a San Francisco Bay Area native, specializes in aviation and maritime claims. She holds an FAA Private Pilot's License. Anne graduated from the United States Merchant Marine Academy at Kings Point, New York with a BS in Marine Transportation and U.S. Coast Guard Third Mate's license, on which she sailed with Masters, Mates, and Pilots International. She graduated from the University of California Berkeley Haas School of Business with a Masters of Business Administration. Her previous job experience includes working for American President Lines and Lake Tahoe Realtor. She enjoys skiing, hiking, kayaking, and biking with her family. In her free time, she attends opera and is a volunteer and fund raiser at her son's school. Hap Arnold is our President and Senior Director based at our home office in San Diego, California. He holds Adjuster's licenses for California, Oregon, Utah, Alaska, Wyoming, Montana, Nevada and Idaho. Hap oversees our SIU, Aviation and Marine Hull and Survey Departments, as well as our Loss Prevention and Risk Management Division, as well as providing in depth technical expertise on other claims where required. Hap’s undergraduate studies were completed at the University of San Diego with a dual majors of Physics and Mathematics; he holds a Doctorate in Aerospace Accident Investigation from the North American University. He is a physicist, mathematician, engineer and computer analyst. He holds a US Air Force Command Pilot aeronautical rating, FAA Airline Transport Pilot, Turbojet Flight Engineer and Remote Pilot Licenses. He has an active Aviation, Technical and Insurance Consulting business which gives additional experience base broadening to our firm. He holds three US Patents for aviation safety related devices. After active duty service with the US Air Force as a pilot, he joined the California Air National Guard. He retired from the Air National Guard in 1996 after twenty-two years flying all models of the F-4 Phantom II as a Lieutenant Colonel. At the time he was serving as the 163rd Operations Group Vice Commander and Aircraft Commander in the Group’s KC-135R Stratotanker aircraft. 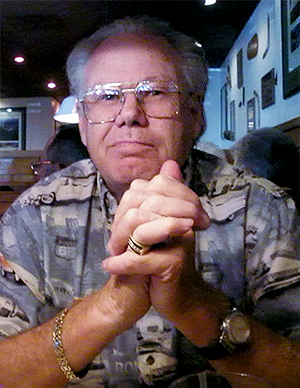 Hap was a commercial airline pilot for a major air carrier flying Boeing 727 aircraft. He is a graduate of numerous military accident investigation courses for aviation and ground vehicles. He has been involved in investigation of aviation accidents since 1974. He has been a US Air Force accident board investigating officer and pilot member; he has been recalled to active duty by the Air Force on occasion to investigate aircraft accidents. Hap currently has approximately 23,600 hours total flight time in a wide variety of aircraft, both fixed and rotorwing. He is a Past President of the national aviation claims adjusting professional association, The Organization of Flying Adjusters. He guest lectures at Palomar and Miramar Colleges on Aviation Safety. Hap is a member of the International Society of Air Safety Investigators and International Association of Marine Investigators. He held US Navy Master's certification for motor and patrol vessels to 105 feet and sailing vessels through 45 feet. He is a certified diver, with experience in salvage diving and wreck removal. His background also includes fire-fighting and fire assessment training with various branches of the US Military. Hap's scientific background has proved invaluable in coordinating pollution and environmental investigations. He has acted as principal fire investigator on several large losses, both marine and aircraft and has been the lead technical investigator on numerous vessel sinkings and marine casualties. He often acts as an expert witness on coverage issues and also represents underwriters at Settlement Conferences and Mediations. Hap has been handling Aviation, Marine, Cargo and CGL claims for our firm since 1977. Gene P. Hillger heads our Blue Water Hull department. He is one of our marine hull surveyors and one of our managing claims adjusters, handling the full line of adjusting. Gene is an attorney admitted to the California Bar in 1986 and the American Samoa bar in 1996. In addition, he is an accredited marine surveyor and member of the Society of Accredited Marine Surveyors (SAMS). Gene graduated from the United States Merchant Marine Academy, King's Point, in 1979, with a degree in Marine Transportation. He is a graduate of The American University's Washington College of Law. Prior to entering law school, he sailed with Military Sealift Command's Pacific Division as first, second and third deck officer on ocean tugs, tankers, cargo and research vessels. After law school, Gene practiced insurance defense law in San Diego for two years handling medical malpractice and general liability cases. He then spent one year aboard support vessels in the Gulf of Mexico oil fields and working on oil platforms prior to joining our firm. Gene holds a USCG 1600-ton Master's License and an Unlimited Tonnage Second Mate's License, and was a lieutenant in the US Naval Reserve. Gene is a certified open water diver. Gene has been with us since 1994. Jackson E. (Jack) Arnold is our Director of Finance and an aviation and marine P&I adjuster in our San Diego Office. He has a degree in Accounting and a Master’s in Business Administration both from Western Governors University. He currently holds an FAA Private Pilot’s license and is working on his Instrument Rating. He is the assistant manager of our Unmanned Air Vehicle division and holds an FAA Remote Pilot license with a Small Unmanned Aircraft System rating. He has passed the Texas Insurance Adjusters’ test. In addition to adjusting and investigation, Jack heads our Collections Department. He is the Treasurer of both the San Diego Independent Insurance Adjusters Association and of the Organization of Flying Adjusters. Jack joined us in 2002. Keith Scally is the Claims Manager of our San Francisco area office. He is one of our Cargo Surveyors, a Marine Hull Surveyor and Multi-Line Adjuster. Keith is also the Senior Investigator of our Northern California Special Investigations Unit. He handles Marine Hull, P&I, Cargo and CGL claims, as well as Aviation losses. Keith is currently in the middle of a private pilot course. He is one of our primary claims investigators and adjusters for stolen cargo and transport vehicle claims. One of his critical skills is the very quiet and low key professional approach Keith brings to his investigations. Prior to joining our firm, Keith served 21 years with the US Coast Guard, primarily in the Special Investigations field. While working with the Investigations branch, he handled many sensitive cases, as well as numerous more typical cases on tuna seiners, as well as many different types of US Flagged commercial fishing vessels. He was a Department of Transportation US Coast Guard and US Customs Special Agent. Keith also acted as liaison with various foreign governments on cooperative tasks including law enforcement, Search and Rescue, fishery agreements/disputes, environmental protection, etc. He was the Department of Transportation representative to the Regional Emergency Transportation Region 9 Taskforce (RETCO 9), liaising with State Police and California Highway Patrol groups and commercial transportation task forces. He investigated interstate commercial transportation cargo thefts, illegal alien and narcotics smuggling, and embezzlement cases with various local, state and federal law enforcement agencies. He has an extensive small boat operations background. During his Coast Guard career, he served as an operator/coxwain on various types of rescue craft including rigid hull inflatables and 41 foot Cutters. He graduated from the University of South Florida in 1987 with a Criminal Justice degree. Keith's in depth knowledge of US Coast Guard, as well as State, Local and Federal law enforcement personnel and procedures is a valuable asset to the firm. His previous experience has contributed to excellent working relationships with not only the Coast Guard, but other Federal Agencies. Keith has been with us since 1998. Landon J. Cruz is an aviation and marine adjuster based in our San Diego Office. Currently Landon is handling marine, aviation and cargo physical damage claims throughout Southern California and is a Functional Area Manager for both marine and aviation hull claims across the country. He is a graduate of the FAA Airframe and Powerplant Mechanic course. In addition to physical damage claims, he is one of our primary subrosa technicians. He also handles electronic investigations. Landon came to the firm as a subrosa technician and has moved in to other fields as his education and expertise have developed. He joined us in 2010. 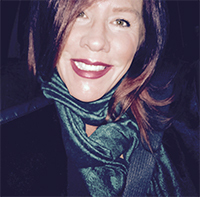 Lauralee Meade is a Senior Liability, Marine and Aviation Adjuster, Cargo Inspector, General Lines Investigator and Lead Surveillance Technician and Manager of our Long Beach, California office. She is a sought after mediation and arbitration representative with an exceptional track record. Lauralee is the lead investigator for American Ship Management and Hornblower Cruise, as well as, handles passenger and crew claims with the Sportfishing fleet. She oversees investigations in California, New York, New Jersey, Hawaii and Arizona. She has been with the firm since 1989. 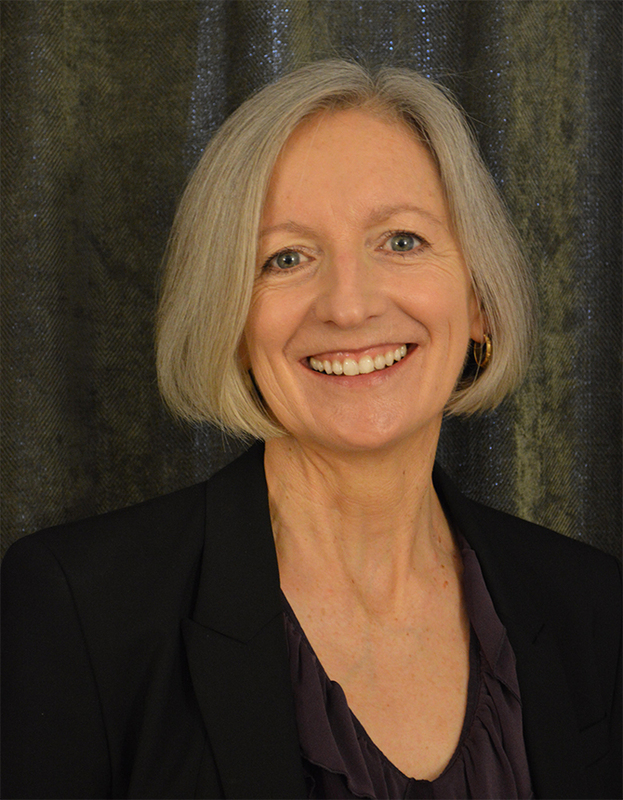 Patricia (Tricia) M. Otto is our Nationwide Director of Claims and is based in the San Diego, California Home Office. 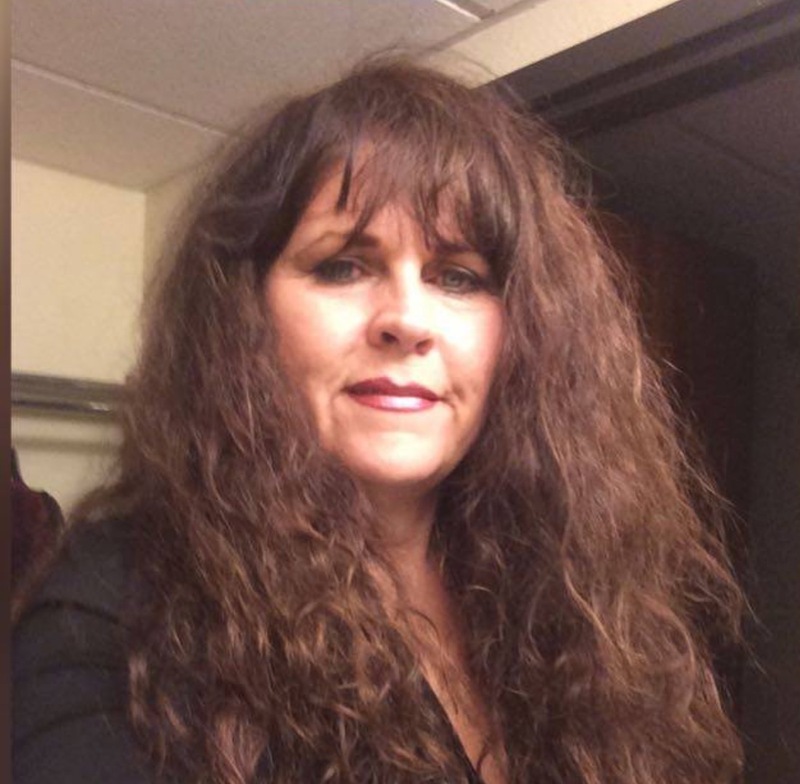 Tricia is a graduate of the Southern California Safety Institute Aircraft Accident Investigation, Human Factors and Flight Safety Officer Courses. Tricia is a member of the International Society of Air Safety Investigators. She heads our Unmanned Air Vehicle division and holds an FAA Remote Pilot license with a Small Unmanned Aircraft System rating. She is an Honorary Member of the national aviation claims adjusting professional association, The Organization of Flying Adjusters, the highest accolade that group can award. In addition to handling high value aviation and marine claims, Tricia assigns and supervises all outlying operating location claims. She is a recognized expert in the fields of vessel valuation and marine repair estimating. In addition, she keeps our entire operation moving smoothly. Tricia first joined us in 1979. 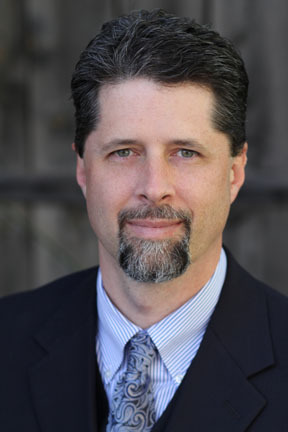 Patrick Jones is a senior Air Claims Investigator and adjuster in one of our Los Angeles area operating locations. He came to us from the National Transportation Safety Board where he served in their Western Pacific Regional Office. He was the Investigator-in-Charge of over 400 accidents. Additionally, he has participated in several foreign accident investigations as the United States’ Accredited Representative. Patrick is a member of the International Society of Air Safety Investigators. 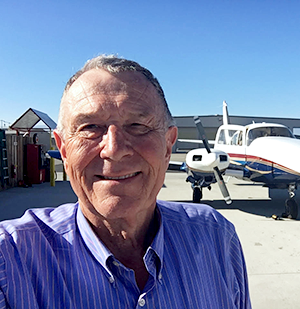 He holds FAA Airline Transport Pilot ratings for both Rotorcraft and Multi-Engine Airplane, and Commercial ratings for Single-Engine airplanes both Land and Sea, with Instrument ratings for both Rotorcraft and Airplanes. He has currently over 7,400 flight hours. He has attended scores of accident/safety and technical courses. Patrick joined us in January, 2018. Robert A. 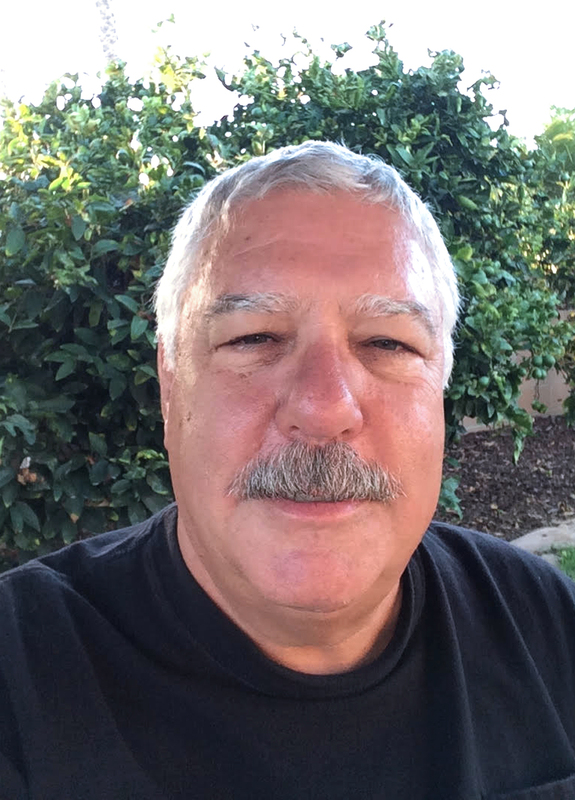 (Bob) Balslev is an Aviation and Marine Adjuster recently relocated to Fallbrook, CA. He provides consulting services for the firm and telecommutes to our Austin, Texas office. He holds a Texas, Oklahoma, Arkansas and Louisiana Insurance Adjuster licenses. Bob is a US Air Force Command Pilot and an FAA Commercial Pilot. After active duty service with the US Air Force as an F-105 Thunderchief pilot, he joined the California Air National Guard where he flew the O-2A/B Skymaster, various models of the F-4 Phantom II and the KC-135A/C/D/R Stratotanker. He retired as a Lieutenant Colonel while serving as the 163rd Operations Group Commander and an Instructor Pilot in the Group’s KC-135R Stratotanker aircraft. During his civilian career, Bob worked for several major defense contractors. He is a graduate of numerous military accident investigation courses for aviation and ground vehicles. He has been involved in investigation of aviation accidents since 1979. He has been a US Air Force accident board investigating officer and pilot member. Bob currently has approximately 6,500 hours total flight time in a wide variety of aircraft. Bob has been with our firm since 2006. A. C. (Tuck) Arnold, Jr.
A. C. (Tuck) Arnold, Jr. is our Marine P&I Claims Manager. Tuck is Director of our Motor Truck Physical Damage Section. In addition, he is the Deputy Director of our Aviation Claims Department and has supervised hundreds of aircraft and helicopter claims. He is an Honorary Member of the Organization of Flying Adjusters, the highest accolade that group can award. Tuck holds a California and Arizona Private Investigator's and the necessary Adjuster's licenses for California, Oregon, Utah, Alaska, Wyoming, Montana and Idaho. He is the managing investigator for our subrosa department. Tuck has a Criminal Justice degree from San Diego State, as well as a law degree from Western State University College of Law. He has a background in law enforcement and maritime operations with the National Park Service. He is an active member of the El Cajon Mounted Police and is a certified open water diver. Tuck has been an active powerboat owner for many years. Tuck has been actively involved with thousands of Jones Act crewmember claims. He has been an active member of the litigation team working closely with many local defense firms on a wide variety of maritime, as well as other CGL losses providing trial support. Tuck joined our firm in 1973. Patrice Mieko Goya Li is the Resident Manager of our Honolulu Office. Born and raised in Hawaii, she joined our office after earning a degree in paralegal education. She graduated from the University of Oregon in 1998 with a B.A. in Journalism and a minor in Japanese. Prior to joining us, she spent six years honing her interviewing and investigative skills as a television news producer in Honolulu and Tucson, Arizona. She also worked at a Honolulu law firm assisting with large real estate closings and document preparation. Patrice joined us in 2006. 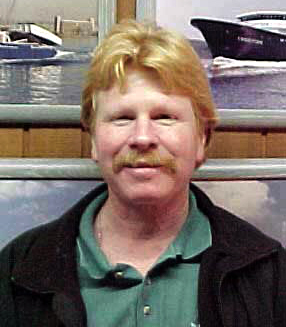 Robert R. (Rob) Spencer is our senior marine operations expert, a hull and cargo surveyor and P&I adjuster. He handles marine and aircraft claims in the San Francisco area Oakland office and is the chief adjuster in our Bend, Oregon office. In addition to claims handling, Rob provides complete marine operations expert services, both in analysis and testimony. He has a broad background with remarkable qualifications in many areas relevant to our firm’s operations. Rob graduated from Massachusetts Maritime Academy in 1979. Prior to graduation he crewed on harbor tugs, fishing vessels and worked as a teamster in the moving Industry. Since graduation, he has worked in the marine transportation industry in predominately offshore. Between offshore assignments he has worked near shore as a San Francisco Bay tug operator / tankerman, stevedore superintendent, rigger and expert witness. Rob’s offshore experience includes sailing on tankers, break bulk vessels, Ro-Ro / Lo-Lo Vessels, heavy lift vessels, and deep sea tugs. From 1987, prior to joining our firm, Rob worked for American President Lines, started sailing master during Desert Storm in 1991, has since been APL’s then ASM’s West Coast Sea Trial and Delivery Master for US Government owned vessels. Rob recently retired from deep sea after 24 years as an officer in the US Merchant Marine. His last several years were as master on the “APL Korea” a 65,000 GT container ship in the Asia / Transpac trade. Rob has attended multiple recurrent training schools in the past 24 years. He has attended five different Marine firefighting schools, multiple ship handling simulators, medical courses (offshore medicine, EMT certified), ISM and ISO 9002 training, He is familiar with DNV and ABS ISM audits, as well as cargo gear quadrennial inspections. During the course of his marine career, Rob has averaged over a month a year in recurrent training in the maritime industry and related disciplines. 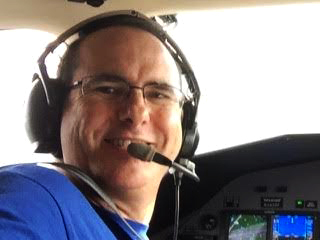 Rob is an active private pilot, owing and operating a Cessna 172. He comes from an aviation-oriented family and is continuing that tradition. Rob holds a 5th issue of his current USCG license: Master of Steam or Motor Vessels of Any Gross Tons upon Oceans; Master of Towing Vessels upon Oceans and Western Rivers. He is authorized to serve as First Class Pilot on Vessels of Any Gross Tons upon the waters of San Francisco Bay, including all tributaries therein, and First Class Pilot of Vessels upon Los Angeles and Long Beach Harbors. 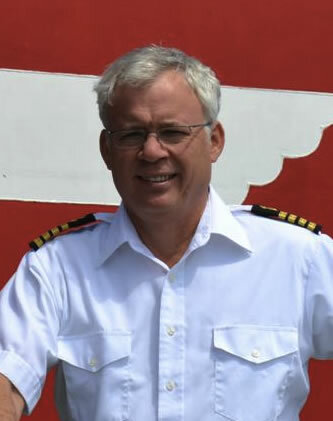 He also has current STCW certification for Master Unlimited, an FCC-issued GMDSS marine radio license, and is an FAA private pilot with Instrument rating. During his off time, Rob has spent six years on the Nordic SAR team in Lake Tahoe Area and fly-fishes throughout California and New England. Rob joined us in 2003. Hope DeLong is the resident Claims Manager of our Lima, Ohio, General Lines office handling Aviation, Marine, Cargo, Auto, Fraud and CGL claims. In addition to adjusting, Hope does liability and general investigations for local attorneys; as well as doing aircraft, automobile and marine value appraisals. She is a graduate of Andrews University with a Bachelor of Technology degree. Hope is an FAA licensed Commercial Pilot and holds Instructor Certificates for both Single and Multiengine Land Aircraft. She currently has about 1,500 flight hours in a wide variety of General Aviation aircraft. She has formal schooling in aircraft maintenance, automobile damage appraisal and marine propulsion systems. 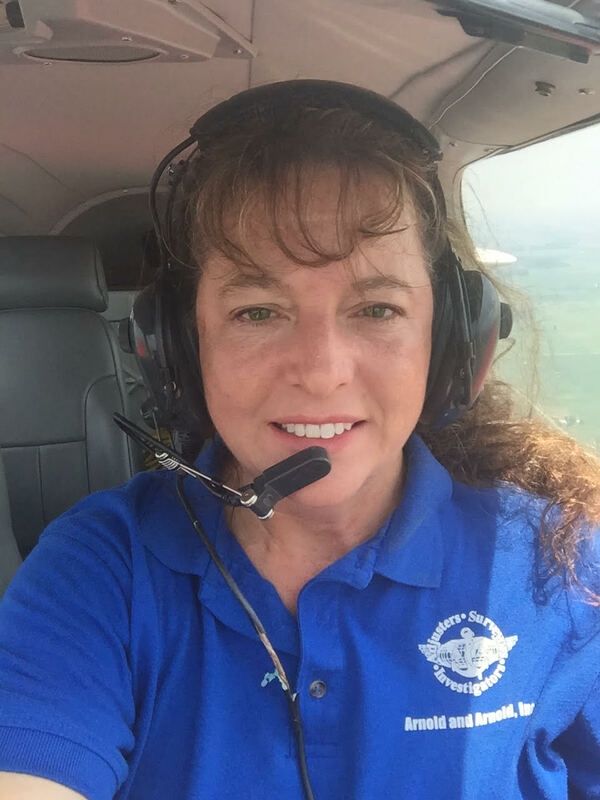 Hope is the Immediate Past President of the Organization of Flying Adjusters, the national aviation claims adjusting professional association. She has been a claims adjuster since 2000 and joined our firm in 2008. Kenneth S. Harris is the Claims Manager of our Phoenix and Flagstaff offices and an Aviation, Marine and Motor Truck Physical Damage and Cargo Adjuster. Ken is the head of our Agricultural Chemical Claims section. He is one of our most senior aviation adjusters. He holds Arizona Insurance Adjuster and Private Investigator's licenses.In addition to adjusting, Ken handles liability and general investigations for local attorneys and other adjusters. Ken came to us from a San Diego area law enforcement agency. Prior to joining us, he had 16 years law enforcement experience. He is a certified traffic accident investigator and has been declared a court expert witness in both traffic accident investigation and latent fingerprints examination. He has worked special truck safety enforcement, surveillance and undercover details. In addition to his law enforcement background, Ken served 24 years in the US Navy, both active and reserve. He has been a firefighting course Instructor at various levels and on many different fire suppression systems. His last assignment was as the senior chief in charge of squadron maintenancecontrol with the US Naval Reserve. 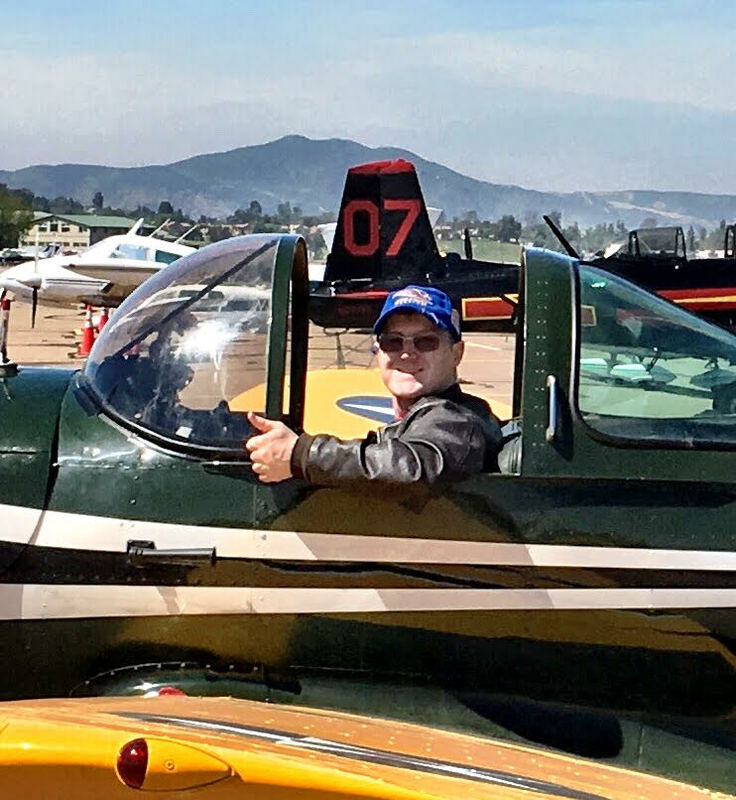 His aviation maintenance experience includes helicopters, fighters, light aircraft and other fixed-wing aircraft. During his naval career, Ken spent over 17 years as a rescue crewman in a Combat Search and Rescue squadron.He has both UDT and SEAL experience in a variety of interesting and unusual places. Ken was also a jet engine mechanic in a commercial engine facility for four years. He is an aircraft owner with a Commercial/Instrument Single and Multi-Engine pilot rating. Ken has been with us since 1993. Capt. Ian D. Allen is the Team Leader of South Florida office. He is a senior marine operations expert, a hull and cargo surveyor and P&I adjuster. He handles cargo, marine, aircraft and CGL claims in Florida and the Caribbean. Ian has sailed on numerous types of vessels in all positions from Able Seaman to Master. He holds both a USCG and U.K. Unlimited Masters Mariner's License, as well as 1st Class Pilot qualifications in Western Alaska and Puget Sound. Prior to joining us in 2012, he was Master of container ships of both US and foreign registry in world-wide service, and sailed for many years as Chief Mate for major ocean carriers. His most recent command was the M/V APL Philippines for American President Lines, Ltd. He was previously an active hull and cargo surveyor in Seattle, Washington and has surveyed for the National Cargo Bureau, holding the National Cargo Bureau Certificate on Ship's Stability and Hazardous Materials. Ian was formally a Commander in the US Naval Reserve, and retired as a Warrant Officer in the US Army Reserve Transportation Corps. Ian was an Instructor at the Pacific Maritime Institute in Seattle. He has been an Emergency Medical Technician. He is also an Extra Class Amateur Radio Operator, call sign AD7KY, and GMDSS Radio Operator and Maintainer with a Radar Endorsement. He has a Private Aircraft Pilot's License, and is a graduate of the United States Merchant Marine Academy, Kings Point NY. He is a graduate of Chapman’s Yacht & Small Craft Surveying Program, including Basic and Advance Damage Claims Surveying, and is a ABYC Certified Technician. Ian joined the firm in 2012. Shamim A. Gray is a multi-line and P&I adjuster based in our Vienna, Virginia office. Shamim was formerly the assistant resident manager of our Honolulu office. She was born in London, England, where she attended University of Kent at Canterbury, obtaining an honors degree in law. She went on to attend Guildford College of Law, one of the oldest and most prestigious law schools in the country. Shamim was admitted to the Bar as a solicitor in 1995, and her specialties include criminal and immigration law. Although, not currently practicing as an attorney, her name is retained on the Roll of Solicitors in England and Wales. Shamim is fully conversant in two oriental languages and speaks basic French. She is married to Commander Obra Gray, a US Naval aviator currently assigned to Washington, DC. Shamim joined us in 1999. Alan Yurman is the Claims Manager in our Lakewood, New Jersey office. He came to us from the National Transportation Safety Board where he served in their New Jersey and Miami Offices. Al assisted the NTSB Marine Division Cruise Line with investigations. He was the Investigator-in-Charge of over 1,000 accidents. Several of these investigations were classified as major accidents. I served as Group Chairman on Major Investigations, including NTSB Go-Team Investigations of the Maintenance, Power Plants, Structures, and Systems groups. He participated in Major Investigations of DC-9, DC-10, MD-80, Boeing 727, 737, 757, 767, 747 aircraft, the Concorde, and many commuter and business aircraft. Additionally, he has participated in several foreign accident investigations as the United States' Accredited Representative. Al was one of the early members of the International Society of Air Safety Investigators, holding a member number under 200. 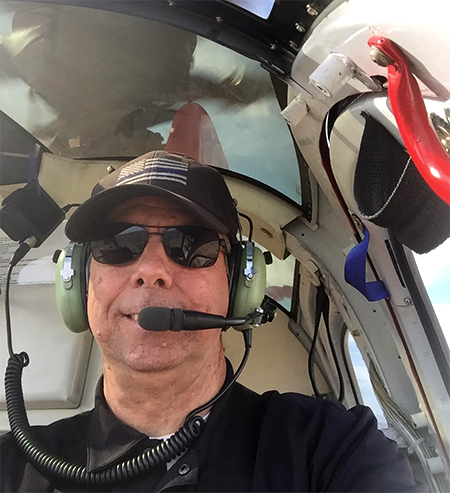 In addition to an Airframe &a Powerplant Mechanic's License, Al holds a US Army Senior Pilot designation, as well as a FAA Commercial Helicopter and Airplane pilot licenses with an, Instrument rating. He has over 4,000 flight hours, including a combat tour in Vietnam as a Helicopter Pilot from 1967-1968. In addition to scores of accident/safety and technical courses, Al received his degree from the University of Texas. Al joined us in 2007. Frank Flores is the Claims Manager in our Philadelphia, Pennsylvania operating location. He is a Senior Marine Operations expert, a hull and cargo surveyor and P&I adjuster. He handles cargo, marine, aircraft and CGL claims for the East Coast. Frank has sailed on numerous types of US Navy vessels in all positions from Engineering Officer to Senior Officer of the Deck (Underway). He is a graduate of the United States Naval Academy in Annapolis, Maryland, and served as a Surface Warfare Officer directly responsible for all ship movement and navigation of a 6000 person Aircraft Carrier both on the high seas, as well as during warfare exercises and regional conflicts. He also served as a United States Marine Corps Liaison Officer where he developed a group of subordinates to become dedicated to mission purpose and successfully led 20 indirect fire logistics missions. As legal officer of several commands, he conducted thorough investigations of engineering malfunctions and personnel infractions. 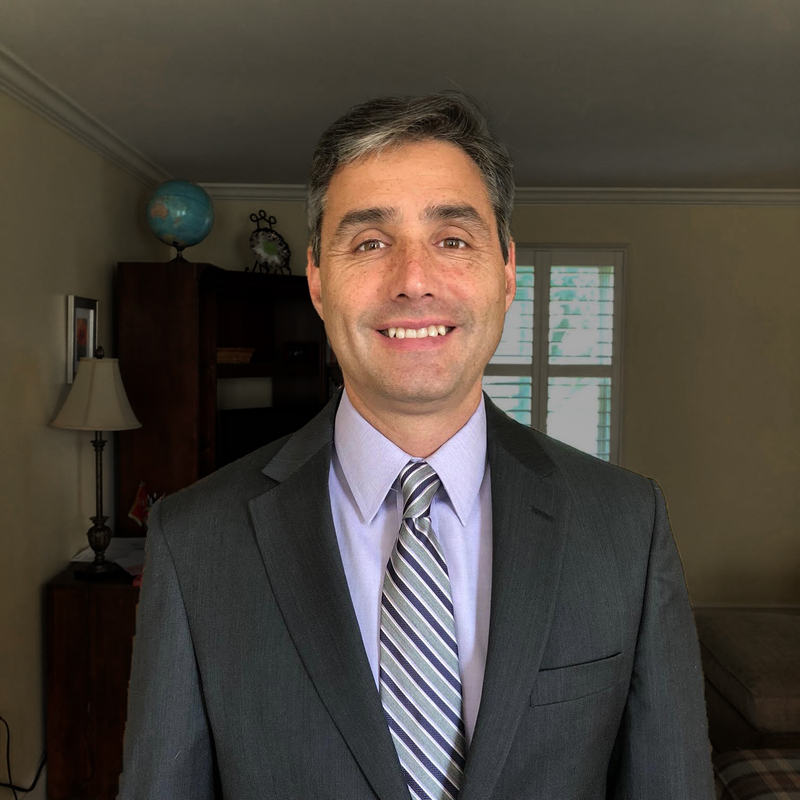 Frank has over 17 years of experience in the private sector, having held multiple leadership positions in Fortune 500 pharmaceutical companies where he operated in the quality, engineering, regulatory, supply chain, financial and manufacturing spaces. As a Lean Expert, Frank maximized operational efficiency through hands-on investigations of engineering and supply chain process deficiencies and by initiating end-to-end manufacturing improvements that resulted in increased profitability and fewer government audits. Operating as the Plant Site Lead for Global Procurement, he was responsible for all incoming materials for the largest plant site in the manufacturing network and resolved over 100 supplier issues. He is a certified Lean Six Sigma Black Belt which has enhanced his investigative skills by employing a structured approach to problem solve and conduct robust root cause analysis in the areas of manufacturing and logistics. Frank joined the firm in 2018. © Copyright 2017 Arnold and Arnold, Inc. All rights reserved.